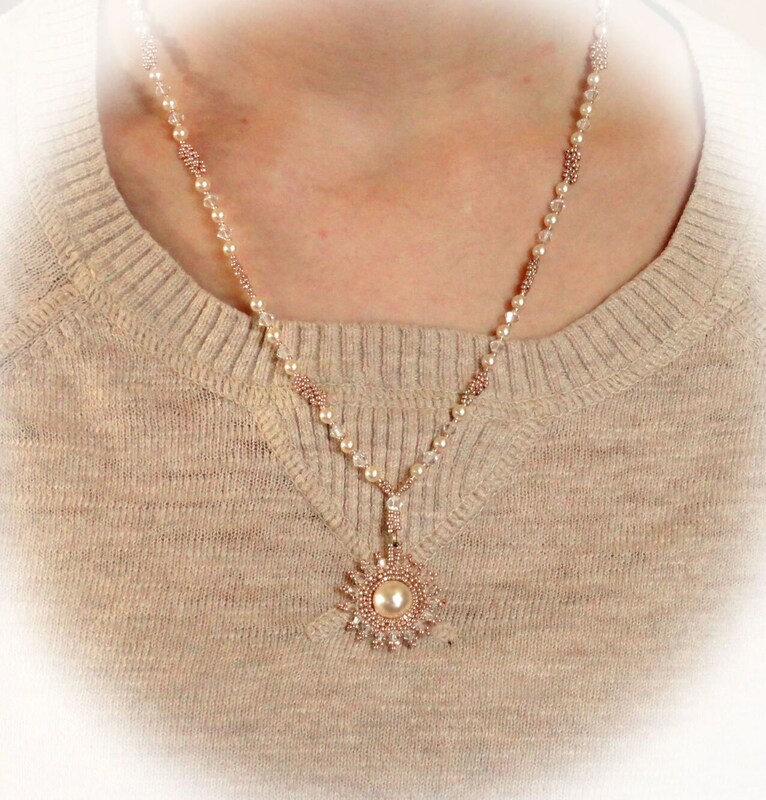 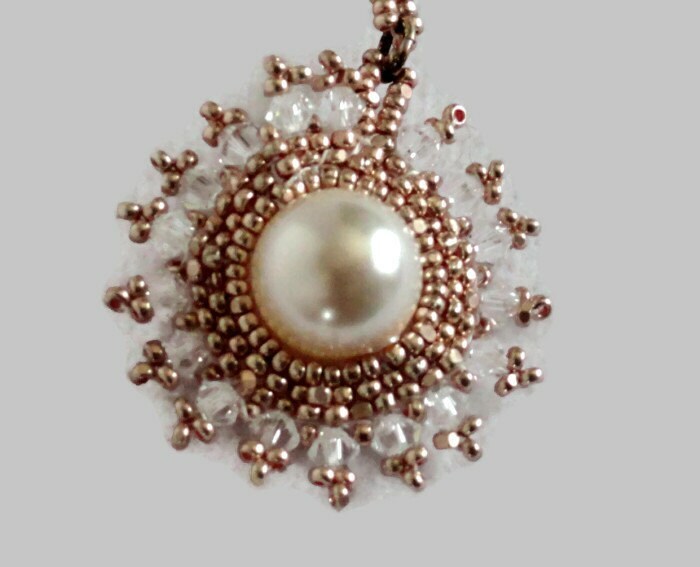 This pendant is stitched with tiny rose gold charlotte seed beads around a 10mm Swarovski Creamrose crystal pearl with 3mm Swarovski crystal picots. 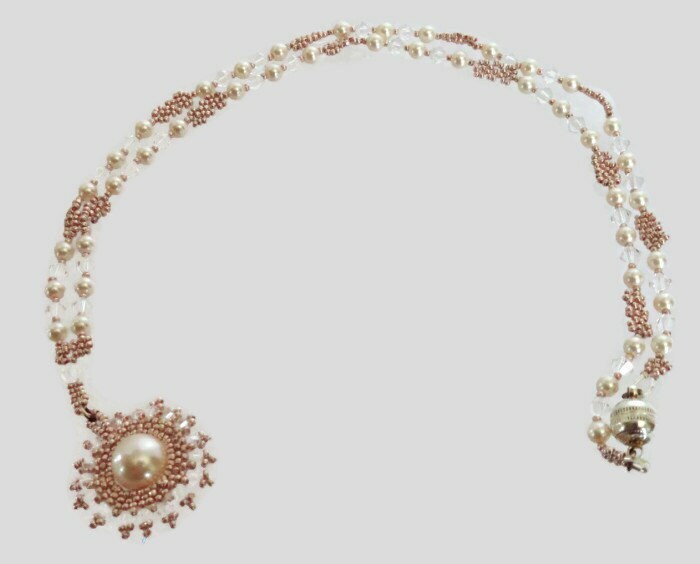 The chain is composed of 4mm creamrose Swarovski pearls, 4mm Swarovski crystals, and links of stitched charlotte sead beads with a silver magnetic clasp for easy fastening. 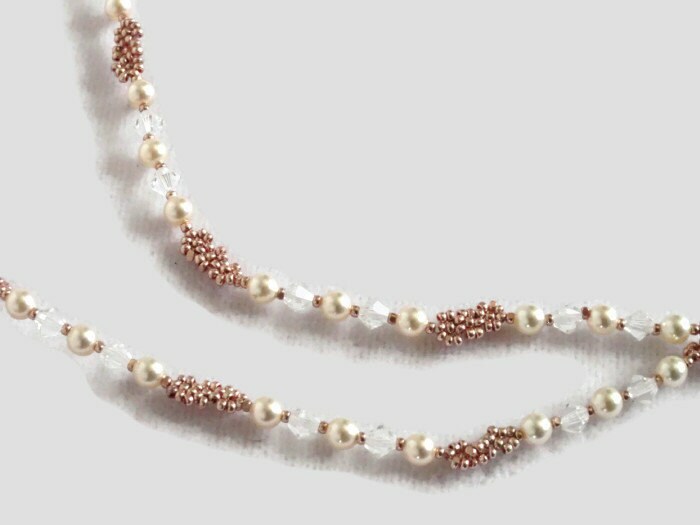 Charlotte seed beads are flattened on one side which gives added sparkle.